With thanks to ConnectLibya for sharing their photos with LondonToast. These two images deliver the emotional shock of contrasting natural beauty with manmade horror. In common is the vital force of nature which prevails under all conditions. Humans are built with the same organic urges towards life and light as is the simplest flower or insect. 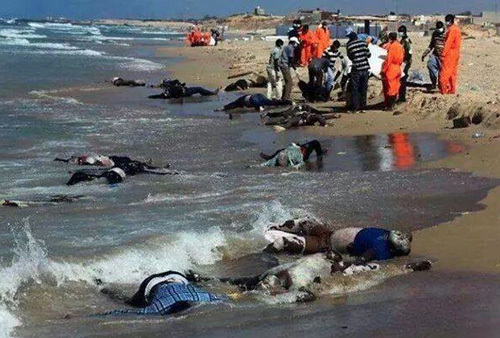 Bodies of desperate fugitives from failed states are regularly washed up on the coast of Libya.Their tragic annihilation is a constant reminder that the human drive to survive and thrive is wired-in.